While violence continues to plague Kansas City, the police department is searching for solutions to curb gun violence, including community events Saturday in each of the department's six patrol divisions. KANSAS CITY, Mo. — While violence continues to plague Kansas City, the police department is searching for solutions to curb gun violence. 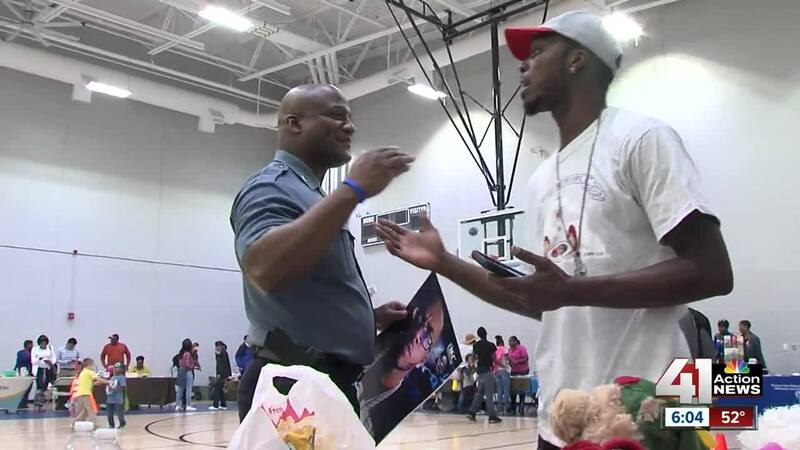 The Kansas City, Missouri, Police Department conducted six coordinated community events, one in each of its six patrol divisions, in hopes of bridging the gap between law enforcement and the community. Each event offered something a little different — from police grilling hot dogs to bounce houses and dancing. It was meant to fun but for a bigger purpose. “I think it's great to see the community come together with all the negativity on the news with the police and the inner city, just to see them working together," Euresha Ten-hue said. Several community members enjoyed seeing the officers in another light. “We see the bad in the police and the police brutality, so to see a positive side of what they are doing to bring changes to the community is amazing,” Ty’le Whitmill said. As these officers interact with the community, the next generation watches, inspiriting them to someday be one of them. “I want to be a policeman when I get older,” Anthony Barnes said. With so much violence right now in Kansas City, seeing the men and women in blue hits home for many here. “I am a mother that lost a son's father to gun violence, so to be out here and to see this event to stop gun violence means a lot because there are children growing up without their fathers,” said Kisha Mason, who attended one of the events. Dewanda Clark agreed, “I think that it's important that the community have to be in a partnership with police. We have to be able to trust them again, because right now there a level of trust we don't have. Building that trust is the goal, changing minds one neighborhood at a time. “If you get to know us as people, you'll like us and you'll know that our heart is in it and we are here to keep everyone safe and we care about people,” KCPD Capt. Stacy Graves said. KCPD plans to make this an annual event and hopes more community members attend as the event grows in future years. "We want our kids to be able to come back home and feel safe when they come back home but in order to change that we have to change our community,” Mason said.